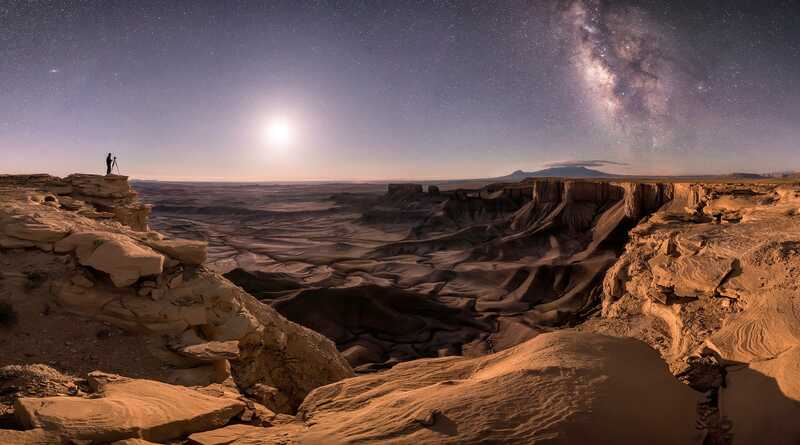 Copyright of Brad Goldpaint; Insight Astronomy Photographer of the YearThe 2018 winner of the Insight Investment Astronomy Photographer of the Year competition. 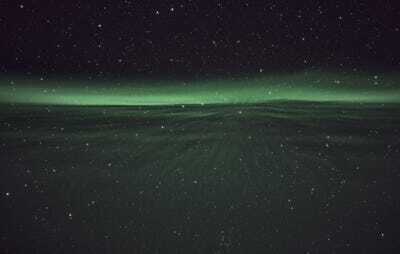 The Insight Astronomy Photographer of the Year competition, now in its 10th year, honours that spirit with an epic distillation of “the most beautiful and spectacular images of space and the cosmos,” according to the Royal Observatory Greenwich, which hosts the contest. The overall winner is shown above. The picture netted photographer Brad Goldpoint nearly $US13,000 in prize money. It’s a long exposure titled “Transport the Soul,” and it shows the Milky Way galaxy (right), moon (center), and the tripod-wielding astrophotographer himself (left) perched on the lip of a desert canyon in Moab, Utah. In this image of an active galaxy more than 25 million light-years from Earth, each colour represents different ages of stars. Reds are ancient stars while blues reveal young, hot stars. 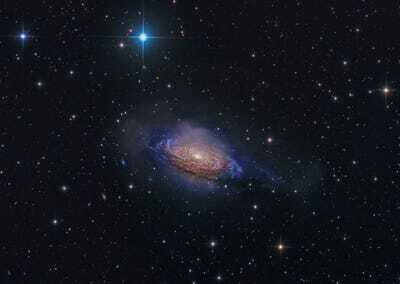 “Even artists’ impressions of galaxies don’t come close to this,” a judge said of the winning image. Copyright of Steven Mohr; Insight Astronomy Photographer of the Year‘NGC 3521 – Mysterious Galaxy’ was photographed from Victoria, Australia. This shot of the total solar eclipse of 2017 also shows planet Mars (right) and the bright star Regulus (to the left of the eclipse). 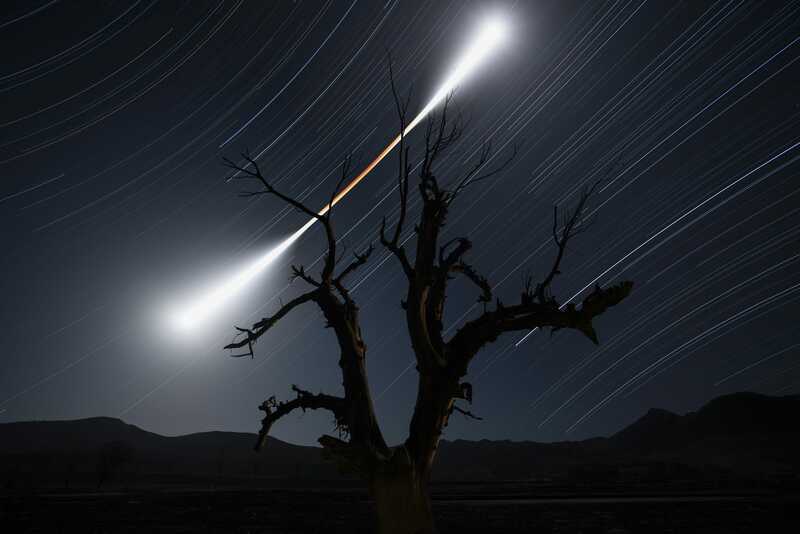 Copyright of Nicolas Lefaudeux; Insight Astronomy Photographer of the Year‘Sun King, little King, and God of War’ was photographed from Unity, Oregon. 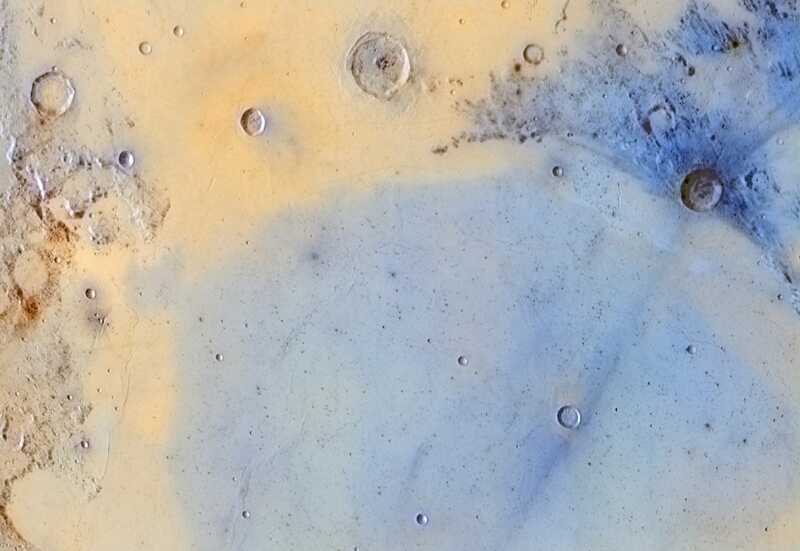 Copyright of Jordi Delpeix Borrell; Insight Astronomy Photographer of the Year‘Inverted colours of the boundary between Mare Serenitatis and Mare Tranquilitatis’ was photographed from Barcelona, Spain. 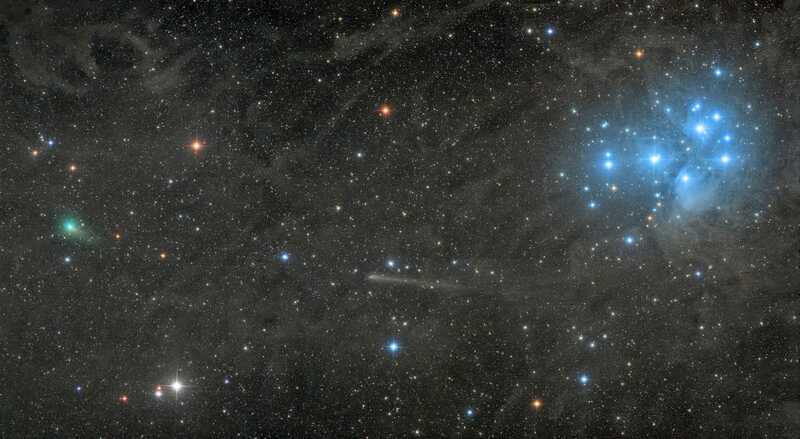 The green comet C/2017 O1 (left) and the white comet C2015 ER61 (center) seem to sail away from the Pleiades star cluster (right) in this winning picture. 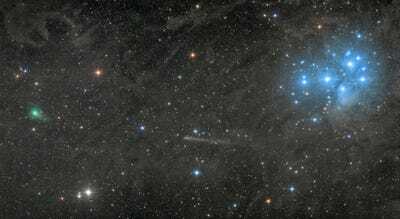 Copyright of Damian Peach; Insight Astronomy Photographer of the Year‘Two comets with the Pleiades’ was photographed from . 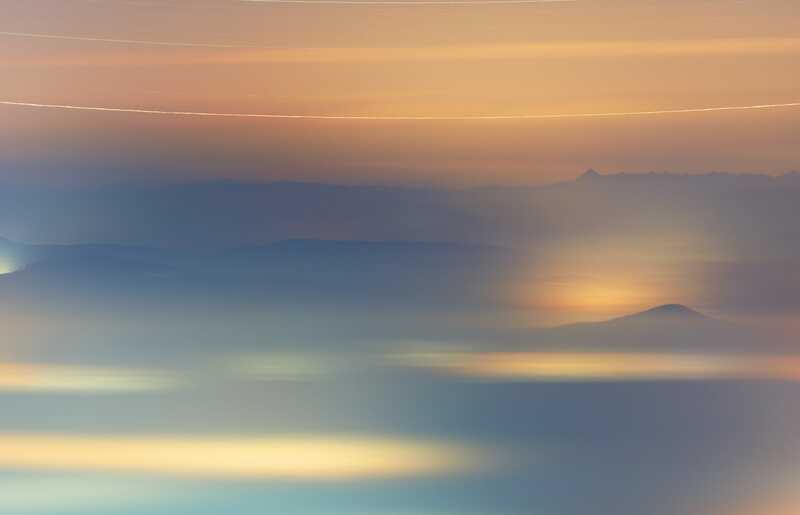 This dreamy, pastel-infused image blends together a series of photos of the same region of sky, taken over half a winter season. 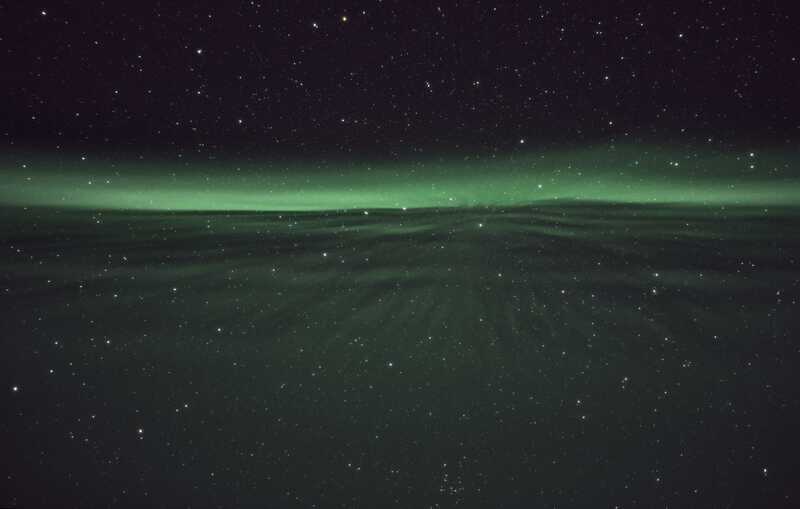 Cities glow below, and the semi-circular streak at the top is the circumpolar star Almach. Copyright of Ferenc Szémár; Insight Astronomy Photographer of the Year‘Circumpolar’ was photographed from Gatyatető, Hungary. Radio dishes designed to study the sun seem to gaze at the Milky Way galaxy in this picture. 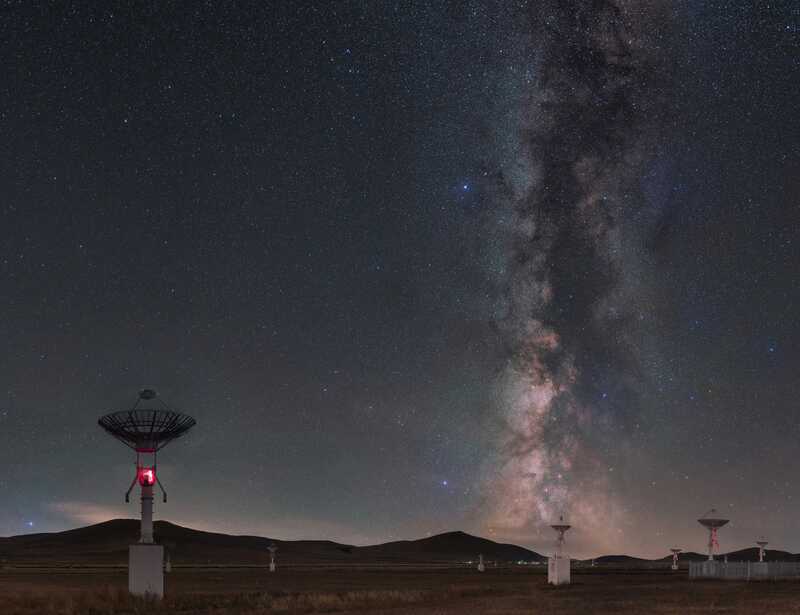 Copyright of Tianhong Li; Insight Astronomy Photographer of the Year‘Galaxy Curtain Call’ was photographed from Ming’Antu, Mongolia. 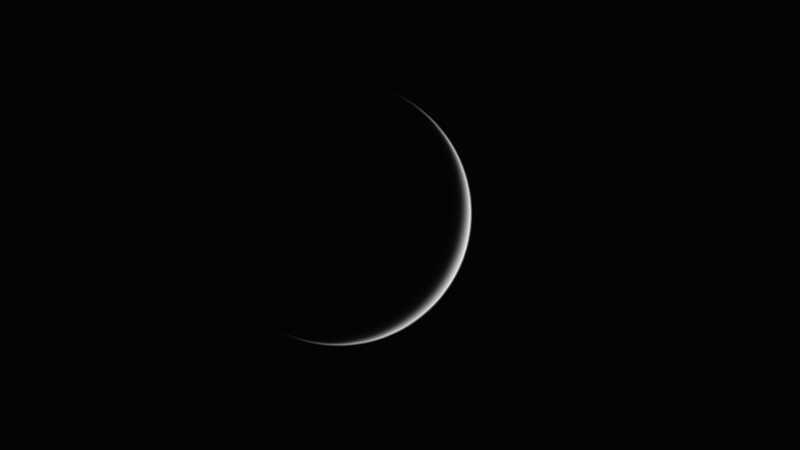 Venus is mostly a featureless planet, given its thick and choking-hot atmosphere. But when the sun angle is just right, it can look majestic. Copyright of Martin Lewis; Insight Astronomy Photographer of the Year‘The Grace of Venus’ was photographed from Hertfordshire, UK. 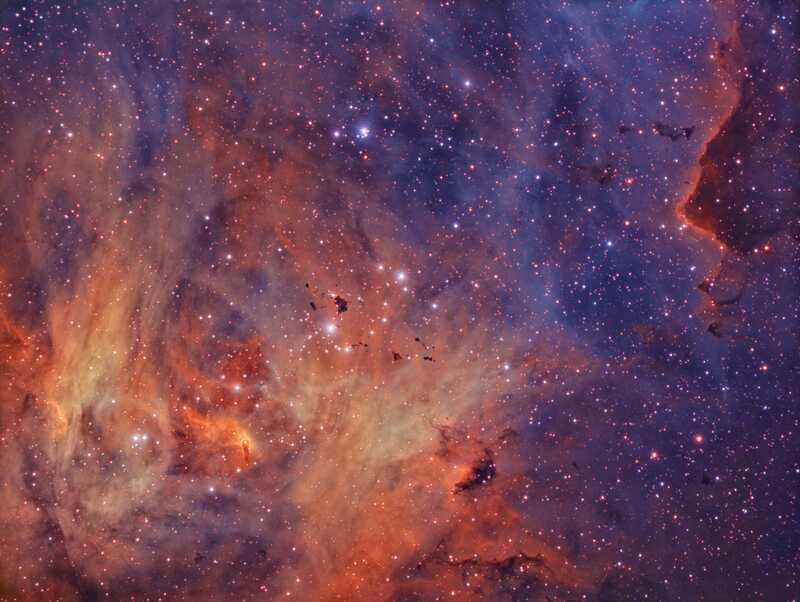 Dust and gas in this central nebula has a striking 3D appearance against a backdrop of stars. 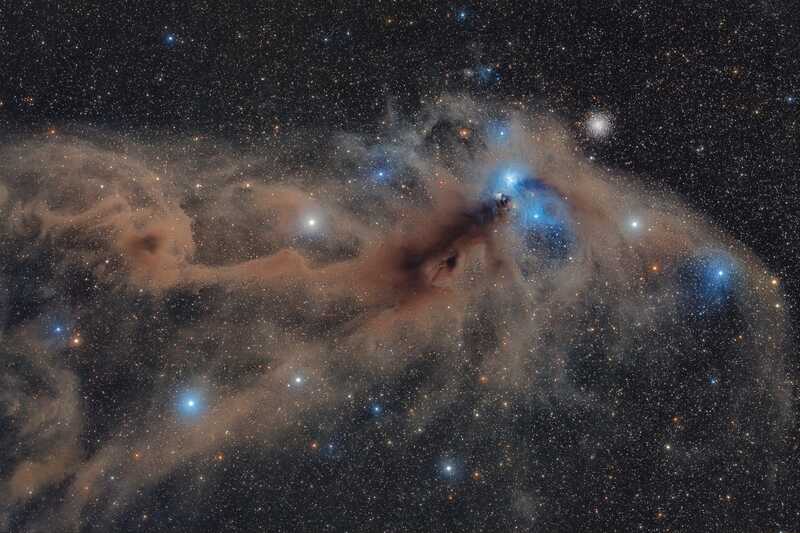 Copyright of Mario Cogo; Insight Astronomy Photographer of the Year‘Corona Australis Dust Complex’ was photographed from Namibia. 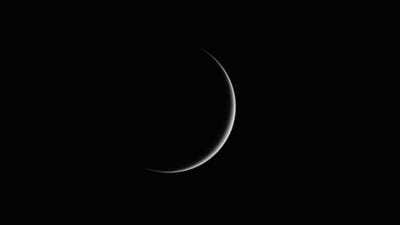 A 15-year-old took this image just before dawn. 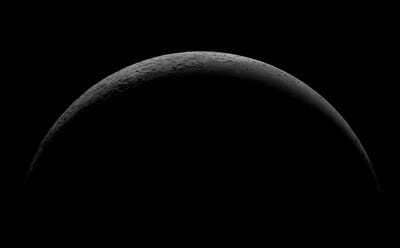 The moon is at top-left and a shooting star at the right. “With a painterly style and beautiful composition, this photograph has a quality that is beyond the years of the photographer,” one judge said. 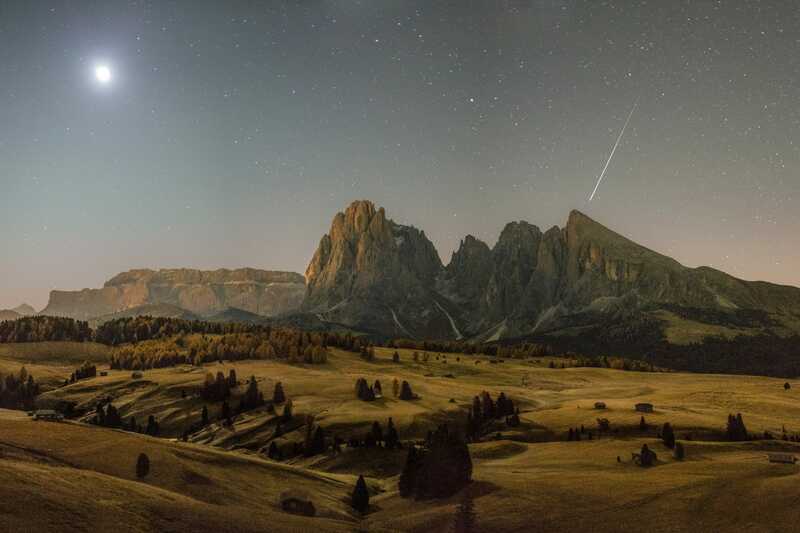 Copyright of Fabian Dalpiaz; Insight Astronomy Photographer of the Year‘Great autumn morning’ was photographed from Italy. Beyond those 11 prize-winning photos, the contest also honored runners-up as well as “highly commendable” images, like this shot. 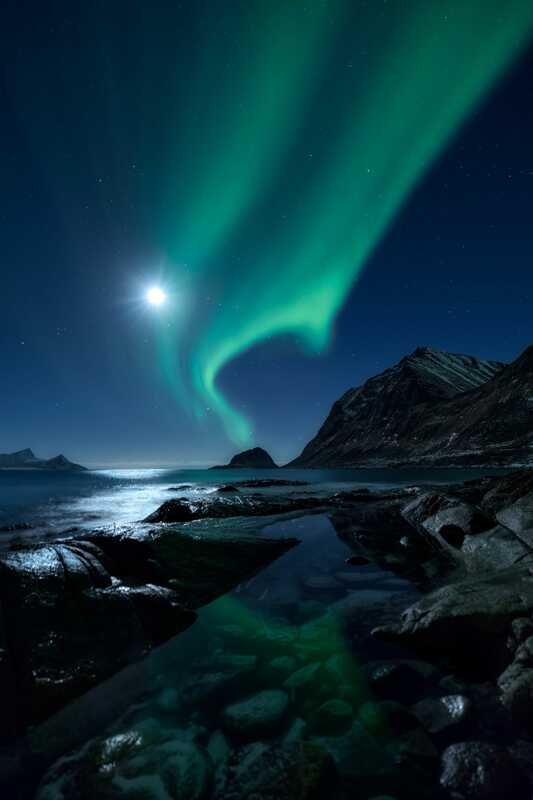 The image shows an aurora and the moon as seen from a chilly archipelago. Copyright of Mikkel Beiter; Insight Astronomy Photographer of the Year‘Aurorascape’ was photographed from northern Norway. 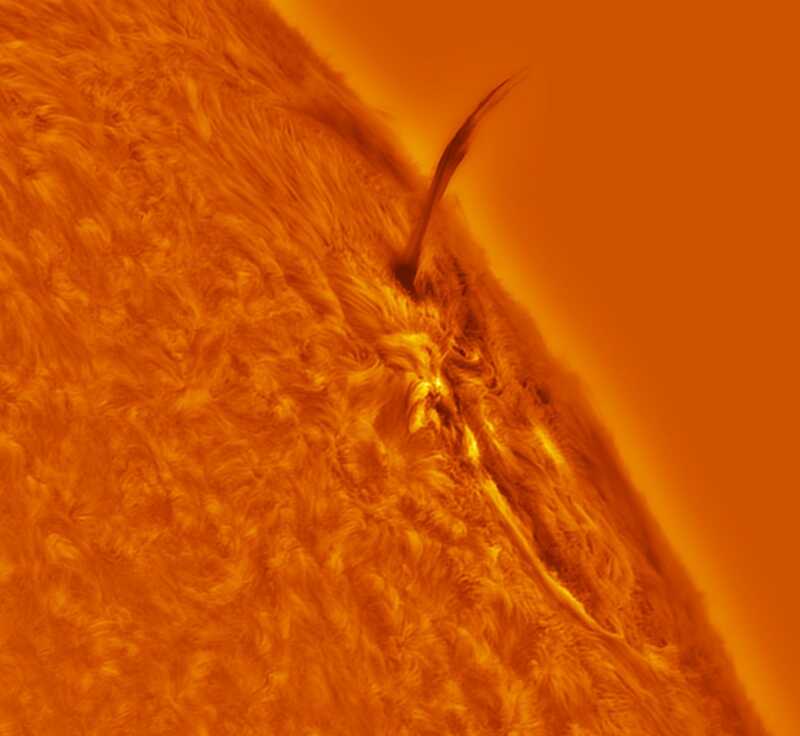 A prominence of plasma leaps out of the sun in this runner-up picture. 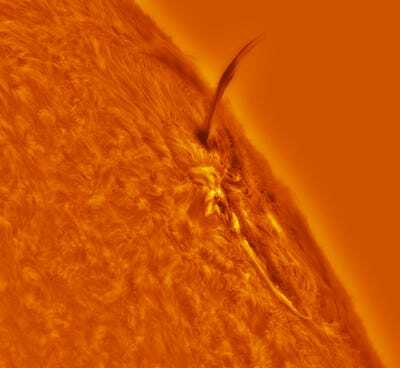 The same region of the solar surface blasted out a powerful solar flare just hours before this image was taken. Copyright of Stuart Green; Insight Astronomy Photographer of the Year‘Coloured Eruptive Prominence’ was photographed from Lancashire, UK. 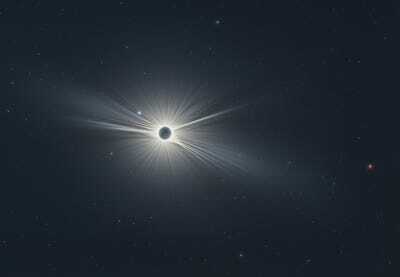 This runner-up image of a total lunar eclipse was photographed over four hours on January 31, 2018. Light refracted around the Earth paints the surface of the moon a rusty red-orange colour at the height of the eclipse (center). Copyright of Chuanjin Su; Insight Astronomy Photographer of the Year‘Eclipsed Moon Trail’ was photographed from Hebei Province, China. This picture, which won a “highly commended” recognition, shows the Lambda Centauri Nebula: a nursery for young stars located about 5,900 light-years form Earth. Copyright of Rolf Wahl Olsen; Insight Astronomy Photographer of the Year‘Thackeray’s Globules in Narrowband Colour’ was photographed from Auckland, New Zealand. When sunlight strikes the carbon monoxide gases of Comet C/2016 R2, the molecules fluoresce a bright blue colour. 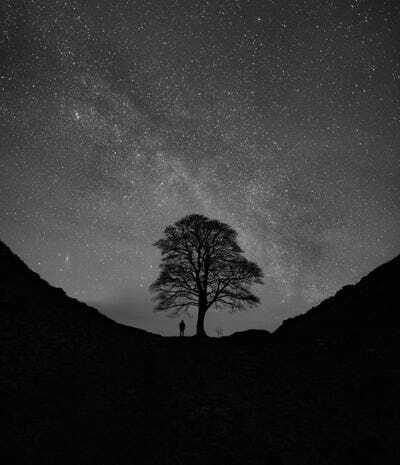 This stunning picture was highly commended by contest judges. 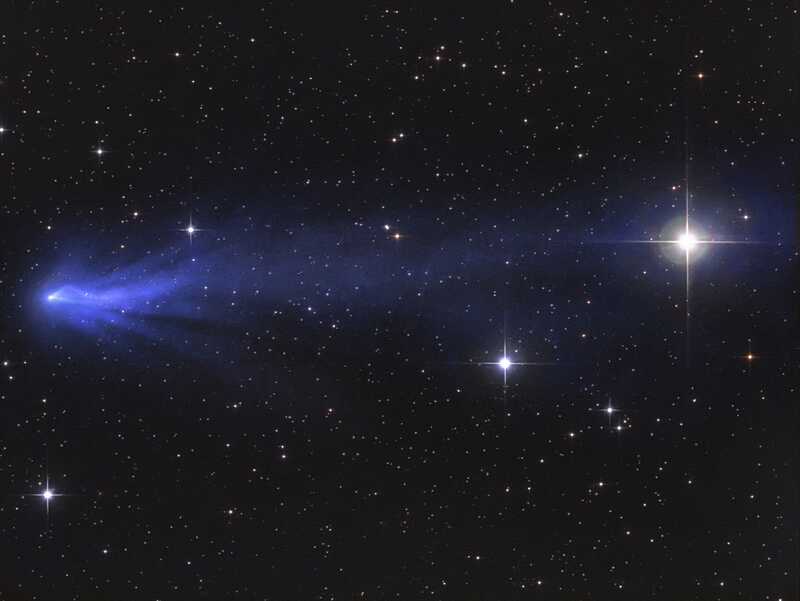 Copyright of Gerald Rhemann; Insight Astronomy Photographer of the Year‘Comet C2016 R2 Panstarrs the blue carbon monoxide comet’ was photographed from lower Austria. 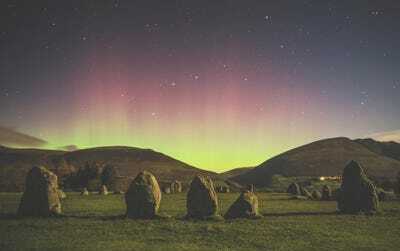 Auroras infrequently push into the UK, but when they do, a spectacular sight awaits. 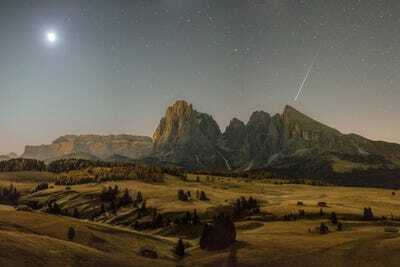 In this runner-up picture, moonlight illuminates a field while auroras in the background glow behind the hills. Copyright of Matthew James Turner; Insight Astronomy Photographer of the Year‘Castlerigg Stone Circle’ was photographed from Cumbria, UK. The moon’s crescent phase is a great time to see the sun cast shadows across lunar craters and mountains. This photo was highly commended. Copyright of László Francsics; Insight Astronomy Photographer of the Year‘From the dark side’ was photographed from Budapest, Hungary. 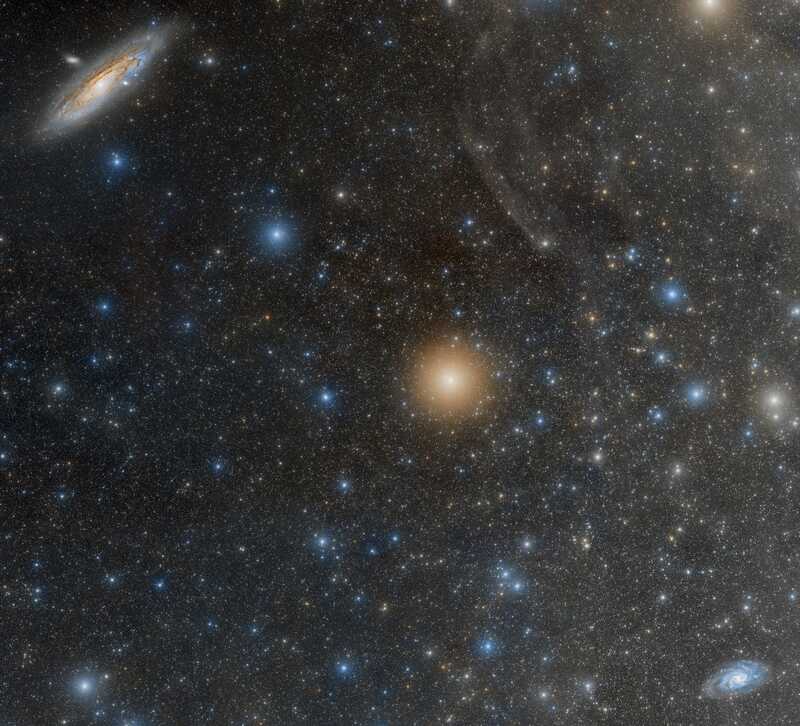 Twenty-four images stitched together form this runner-up image, which shows the bright star Mirach (center) and the galaxies Messier 31 (top left) and Messier 33 (bottom right). Copyright of Raul Villaverde Fraile; Insight Astronomy Photographer of the Year‘From Mirach’ was photographed from Castilla-La Mancha, Spain. Rigel — the seventh-brightest star in the sky, and part of the Orion constellation — shines brightly near the Witch Head Nebula in this runner-up photo. 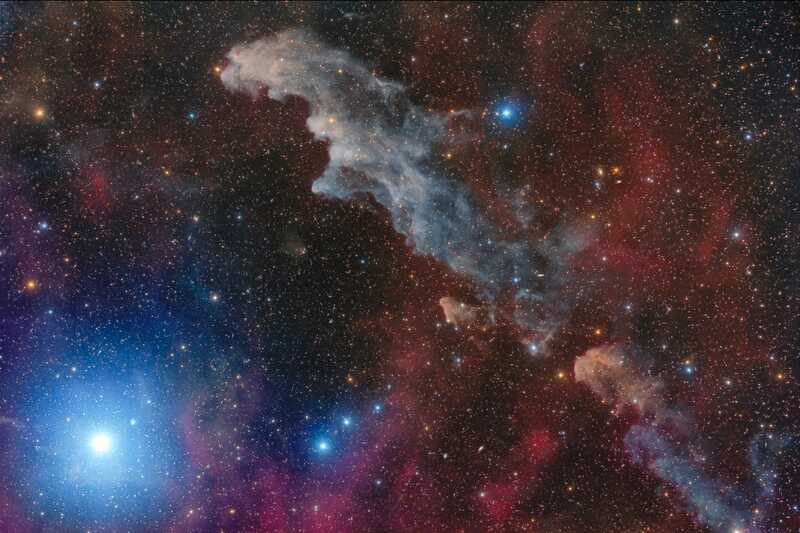 Copyright of Mario Cogo; Insight Astronomy Photographer of the Year‘Rigel and the Witch Head Nebula’ was photographed from Namibia. At extreme northern or southern latitudes during summer, the sunsets blend into sunrises and the sky never goes totally dark. This highly commended picture almost seems to freeze time, judges said. 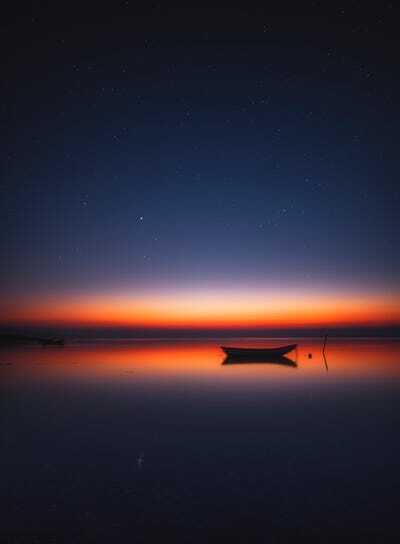 Copyright of Ruslan Merzlyakov; Insight Astronomy Photographer of the Year‘Midnight glow over Limfjord’ was photographed from Nykøbing Mors, Denmark. This runner-up shows the solar system’s seven planets as photographed from the same location over the course of a year. They’re not to scale — instead they’re shown at the size they’d appear through a telescope. Left to Right: Mercury, Venus, Mars, Jupiter, Saturn, Uranus, and Neptune. Copyright of Martin Lewis; Insight Astronomy Photographer of the Year‘Parade of the Planets’ was photographed from Hertfordshire, UK. The winter sky shines brightly in this highly commended image. It shows the Milky Way galaxy crossing through the foreground of Sycamore Gap — part of a Roman-era structure called Hadrian’s Wall. Copyright of Mark McNeill; Insight Astronomy Photographer of the Year‘Me versus the Galaxy’ was photographed from Northumberland, UK.